WPC flooring is a new flooring product that combines the best of LVT flooring (Luxury Vinyl Tile) and Wood Laminate flooring. Our brand of WPC Flooring called Lux Premier Flooring is one of the quietest, most waterproof products on the market today. 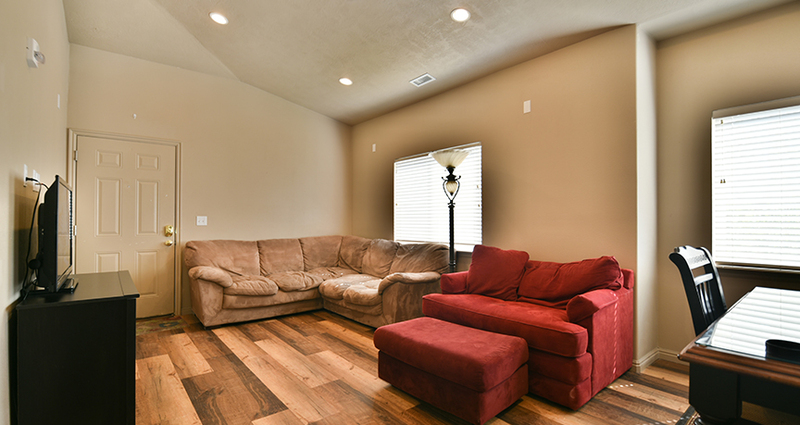 We feel we carry Utah’s best waterproof flooring! Super durability and stain resistance make it possible to just wipe away spills like nail polish, grease and more. Please fill out the form below to schedule your FREE measurement, and one of our helpful representatives will contact you shortly. Fill out the form below and submit your review of your recent experience with Taylor Carpets and we will post it right here on our website.